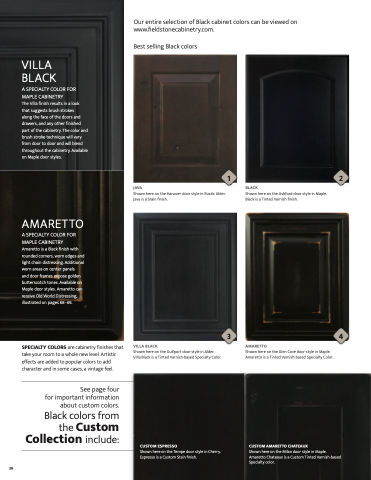 Our entire selection of Black cabinet colors can be viewed on www. eldstonecabinetry.com. A favorite Black color is shown here. This bath was created with the Hudson door style in Alder finished in Java. Standard slab drawer headers were used.